Y is for…Yes, Yipee and Yay! There are moments as a writer that you say, “Yes!” When you write the end, when you make that sale or when you write the perfect sentence. I tend to say, “Yes!” while putting my hand in fist, and biting my lower lip. I do this nearly every time I feel a moment of success. Sometimes, I feel we don’t cheer ourselves on enough. I usually Twitter my success moments shortly after they happen. Someone should. If not me, then who? This isn’t just a writing thing…its a life thing. When you have moments of wonderful, remember to celebrate them. If you don’t celebrate little victories, the big ones become less significant. Each little “Yes!” moment in your writing and in your life is a stepping stone to the bigger “Yes!” And you know what…when you encounter the “No’s”, you have so many more “Yeses” to counteract them. It gives me confidence and sometimes is a huge reminder, I’m moving in the right direction. 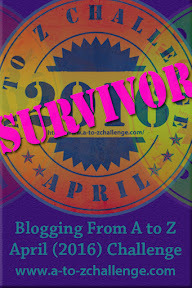 This entry was posted in Blog and tagged #atozchallenge, Life, No, Success, Writing, Yes. Bookmark the permalink. ← X Is For… X-Ray – the Plot! I adore your infectious good attitude. What a blessing to know you. My topic is a flower at http://darlamsands.blogspot.com/ for the letter Y. Today I am number 1179 on the list, so it looks like lots of participants continue dropping off, unfortunately. Yes yes yes! You keep your no's! The power of positive point. Yes. Yes!!!! I love it. Hoo-rah, baby; bring the YES! Good point, and right on point. If you don't cheer yourself on, who will?